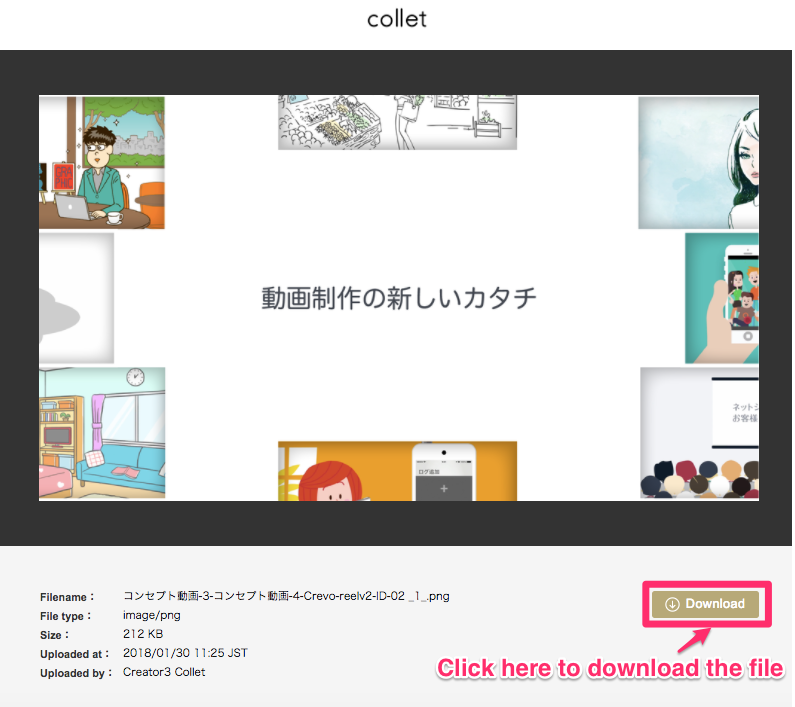 You can share files with non-Collet users by creating shared URL. 2.Open the folder which the file you want to share is placed. 3.Click the icon in the right to show file menu, and click "Share". 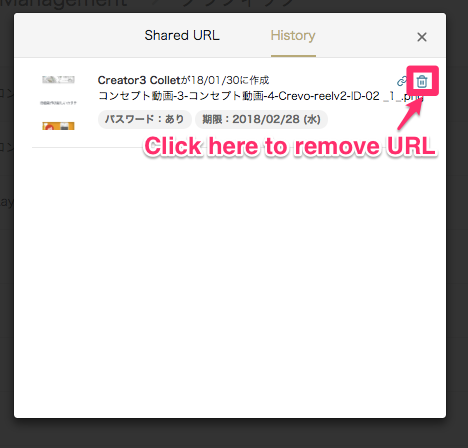 *You can set password and expiration date to shared URL. 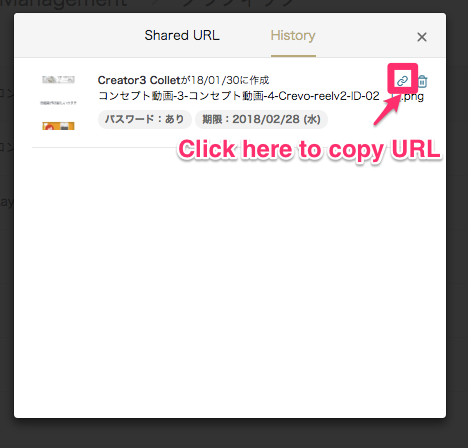 If there is no password to open URL, you can simply open URL to see the file. You can download the file if you like. If the password is set to open URL, the screen to ask you type the password will appear so please type password to open the file. You can see the history of creating URL. 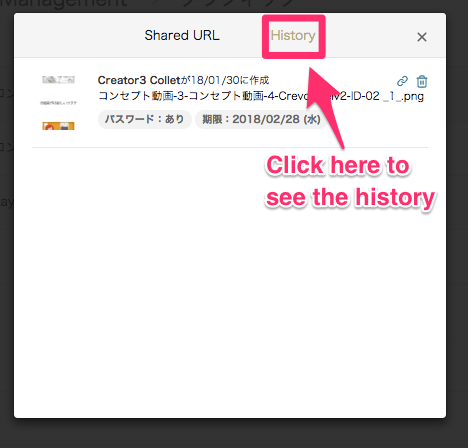 You can copy URL created in the past. You can remove the URL.